Try out the LITE version of Siberian Strike. 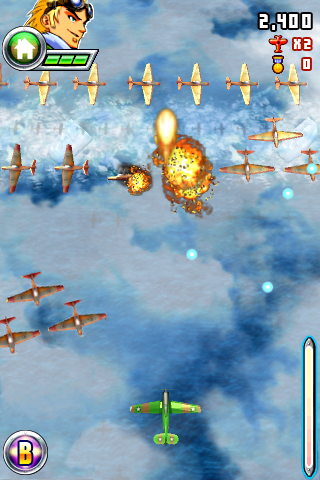 Choose one of three pilots and enjoy this fast-paced shoot’em up. - Fast-paced action, intense combat and 4 difficulty levels to keep you constantly challenged. - Unique gameplay mixing shooting and insane piloting missions that test your dexterity. - Choice between Accelerometer and Touch controls that let you steer and target enemies like a real pilot. 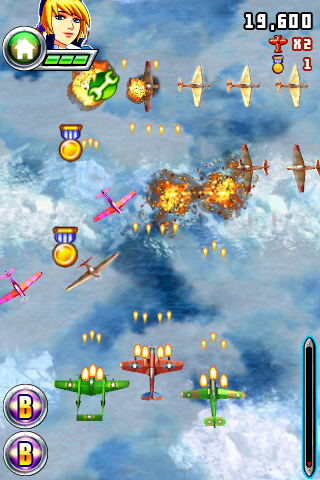 - Choose from 3 ace pilots and customize their planes with 12 different colors. - Join your friends in frenetic local Wi-Fi Multiplayer to experience a crazy adventure. - Gigantic boss fights and memorable moments with immersive 3D animations. - 12 amazing levels to explore across varied environments: canyons, secret bases, tunnels, and more!